They are good for plants and the grass but can put a damper on summer fun with your doggy. But don’t fret when the weather isn’t ideal outside there is still plenty you and your furry one can do inside. ♥ Have a spa day. Trim your dogs nails. Brush their hair. Give them a bath. ♥ You’ve been meaning to teach them Sit. Stay. Give paw. No time like the present. ♥ Make a patch of cookies for you and a dog-friendly batch of biscuits for them. ♥ Tie a knot in an old sock or t-shirt and play tug-a-war. ♥ Rainy days are good laundry days. Remember to wash your dog’s pillows, too. ♥ Speaking of pillows, throw a few down on the floor and watch “Turner and Hooch” with your pooch. ♥ When in doubt, take a nap. What rainy day activities do you like to do with your dog(s)? The next two days in New Jersey are going to be hot! hot! hot! While we may be looking forward to working on our tans, we’re also going to be uncomfortable in high 90 degree temperatures and so will our dogs. So in preparation for the warmer months to come, here are a few things to keep in mind to keep your dog happy, healthy and comfortable. ♦ It’s best to go for walks early in the morning or later in the evening when temperatures are cooler. Remember if you are walking your dog at night to carry a flash light and put a reflector vest on them and you. ♦ Should your furry friend be joining you at an outdoor BBQ, bring along a bowl and fill it often with cool water. There are plenty of travel bowls out there that fold up to fit in your pocket. Check your local pet store for options. ♦ If you and your dog have to be out in the heat of the day, be sure to find a nice shade tree to cool off. ♦ Short-haired dogs can get sunburn so apply sunblock at least a half-an-hour before going outdoors. Summer is a great time to enjoy the outdoors with your furry family friends. Remember to prepare for those days when the temperatures are high, use common sense and always contact your vet should you be concerned about their health. Congratulations on giving thought to finding your new best friend. Having a dog join your family is such an exciting experience. If you’ve never owned a dog, the idea of adopting one can be daunting. But here are a few things to consider to help your decision-making process easier. 1 – What are your living arrangements? If you live in a 500 square foot apartment , a Great Dane might no t make the best choice for you. Smaller dogs like Pomeranians, Chihuahuas and Shih Tzus are better choices. While rescue organizations do get some pure bred dogs, there is a greater chance you’ll find a mixed breed. 2 – Consider your lifestyle. If you are an active person, you might enjoy a medium to larger sized dog who will enjoy going on runs with you or fetching a football or Frisbee. But don’t discount a small dog. While a Shepard or Setter mix might be able to do a 5-mile run, a smaller dog would enjoy a half-mile walk. And no matter what the size or breed of dog—all dogs need exercise. Taking daily walks is good for them and good for your waistline, too. 3 – Plan a budget. There is more to just feeding and watering a dog. There is, at minimum, a yearly examination at the Vet and vaccinations that are required by law. You’ll also need to provide your new friend with monthly heart worm pill treatments and possibly flea and tick treatments. He or she will need their own space (be it a pillow and/or a crate). They’ll need a collar with identification, a leash, shampoo and toys. Other expenses might pop up along the way should they require additional medical attention. Be sure that you have allotted enough funds to cover their needs. 4 – Adopting a dog is inviting a new member to be part of your family. They’ll have good days and bad days just like you do, but they will also shower you in love and affection. Puppies are adorable no doubt about it. But puppies also take a lot of time and attention to teach them all the things they need to know: potty training, sit, stay, give paw. If you don’t feel you have the time and patience to train a puppy, consider a full-grown dog who already knows “the basics.” Depending on the breed of the dog, you are looking at po tentially a 20-year commitment. Be sure you are ready to make it. 5 – Still unsure of what is the right dog for you? Volunteer for a local rescue group. You’ll gain exposure to many types of dogs and be surrounded by others that love dogs. 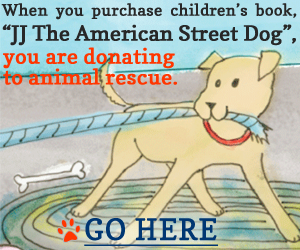 It’s a great way to give back and a sure way to meet the right dog for you. Click here to see a list of current dogs available for adoption from Coming Home Rescue.